A little short notice, but if you are able to get to the John Smedley factory shop or you happen to be in London, the company is having a clearout of slight seconds and end of range items. 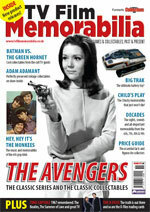 There are always classic knitwear bargains to be had, so it is well worth the effort. Details of the events below. Prices from £10 for slight seconds and end of range styles. Current season sample styles at clearance prices. The remaining members of The Who must be short of some Christmas spending money – launching an online subscription service for the band’s output. For $50 (around £25), you get to become a ‘Wholigan’, giving you exclusive access to content, priority booking for gigs, discounted merchandise and access to blogs and message boards (which all used to be free incidentally). But on the plus side, you also get an exclusive, Wholigan-only 2-CD set of live rarities called View From A Backstage Pass and from 2008, access to every song in the Who’s back catalogue – and the option to download to an MP3 player. 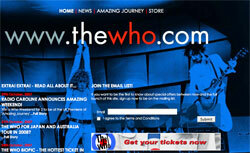 Oh yes – and a ‘Who’ email address of your own. Good value? Depends how big a fan you are I guess. If you want the album, that’s about £12 worth, so an additional £13 for the rest. If you decide it’s worth the money, you can sign up from 5th November. 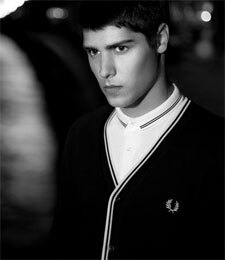 Might be worth nipping into your local Fred Perry shop this week, as the mid season sale has started and there’s a few interesting items there at markdown prices. 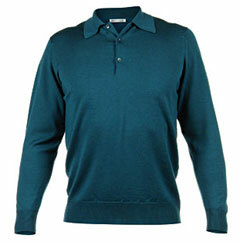 The bulk of the stock is still full price, but I noticed that the Italian-made knitted three-button polo shirts (with embroidered logo) are all marked down in all sizes, most at half price (£45). Some items seem to be marked down on the website too – couldn’t see the knitted polo shirts there, but I might just have missed them. Either way, it’s worth checking the store if you are passing. 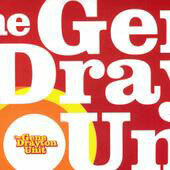 Mod favourites Gene Drayton Unit are out and about again, with two gigs in November. On Saturday 3rd November, they play the Oval Tavern,131 Oval Road, Croydon, CR0 6BR. GDU will be doing two sets, on around 9pm,and it’s free to get in – as is the DJ support. For more details of that show, click here for more venue info. A fortnight later on Saturday 17th, they’re heading off to Hitchin – Club 85, 74 Winbush Road, Hitchin, Herts, Hitchin, SG5 1PZ to be precise, supported by the Petty Hoodlums and DJs. £5 to get in, with the night running from 8pm until late.